Meanwhile lets just say that we are proud Gemma Barker contributed a whooping 141 entries. 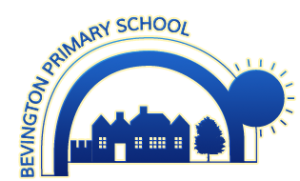 Thank you to all the parents who came to our PFA meeting this morning, ready and really keen to support the school. They are full of fantastic ideas and are so committed to the cause. Still time for others to join in. Don’t be shy now- they are the loveliest people!! Speaking of questions the team from Rolls Royce got a real grilling in year 6 especially about their intentions post Brexit!! They came to check out our progress with the design projects we have been working on and they were very impressed. Well done Year 6 – engineers of the future. The NSPCC have been in school this week helping classes understand how to keep themselves safe and think about different relationships. This is really important work and the children have been very mature in their questions. As we knew they would be ! Thanks to all the key stage one parents who came in yesterday morning to learn alongside their children. It was a great turnout and the children were really excited to share their learning with you all. Hope you had a great time and hope to see you all again soon. All week we have been focusing on reading buddies across the school and everyone has thoroughly enjoyed this. The older children relish the chance to read to the others. And the younger children love a good story. We believe everyone should read more ! Why don’t you join in at home? We were so lucky to have the planetarium in school yesterday. It was a fantastic opportunity to explore the universe and think about space and beyond. Completely mind expanding in fact.